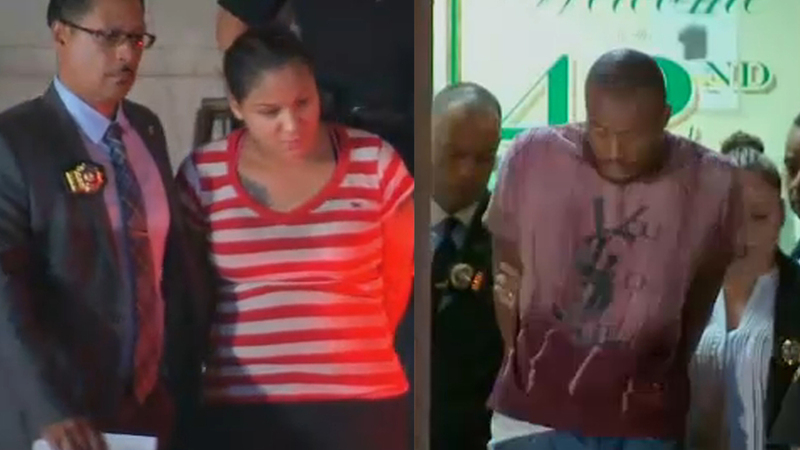 Josh Einiger has the latest on the arrests of a couple in the murder of a woman in the Bronx. HUNTS POINT, Bronx (WABC) -- Police arrested a Bronx couple Wednesday after pieces of a young woman's body were found inside several plastic bags throughout the borough this week. 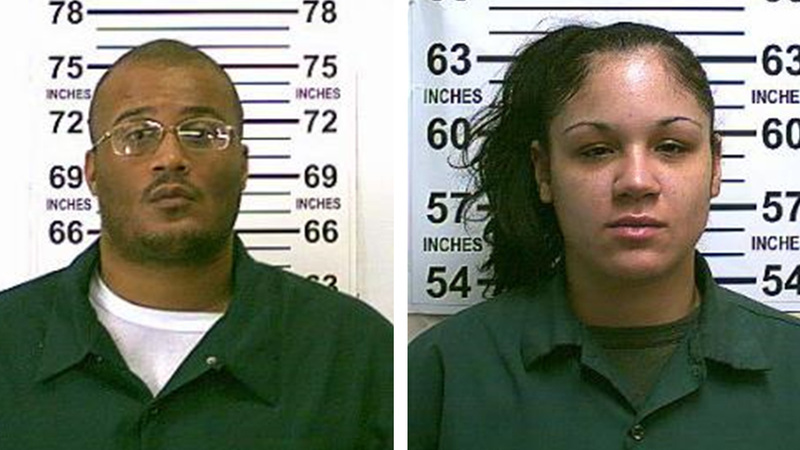 Officials said 31-year-old Daquan Wheeler and 30-year-old Ciara Martinez face multiple charges in connection to the death of Martinez's friend, 25-year-old Lisa Marie Velasquez, of Melrose, the Bronx. Human remains belonging to Velasquez were found Friday inside two bags in Crotona Park and then again on Tuesday inside two more bags that a child discovered after they washed ashore in Barretto Point Park. Officials determined that Velasquez suffered multiple blunt impact injuries of the head with skull fractures, and her death was ruled a homicide. According to investigators, the alleged murder took place on August 21 after Martinez called the victim and told her she was having trouble with her boyfriend, Wheeler. "The last thing my mother remembers is her coming, grabbing her bag and being in a rush, saying that she had to go help a friend that was in danger, and she ran out of the house," said Jacqueline Perez, the victim's aunt. When Velasquez arrived at the couple's house on Longfellow Avenue in the Longwood section, Martinez and Wheeler were in the middle of a domestic dispute. Wheeler left the house, and both women called the police. Officers arrived to take a domestic violence complaint and then left. Police said the officers who responded did nothing wrong and could not have prevented Velasquez's death. At some point, Wheeler returned, and detectives said they believe he took a hammer and hit Velazquez twice in the head, which killed her. Martinez then assisted Wheeler in chopping up and disposing of the body, police said. A machete and meat cleaver were used to dismember the body, police said, but the weapons have not been recovered. Martinez told detectives that Wheeler threatened to kill her and their child if she did not help dispose of the body parts. Wheeler, on the other hand, told detectives that when he returned to his home, Velazquez's body was already multilated and bagged. Both suspects are being charged with murder because they are blaming each other in shifting statements to police. Wheeler also faces charges of manslaughter, concealment of a human corpse, tampering with physical evidence and criminal possession of a weapon. Martinez faces charges of criminal facilitation, hindering prosecution, concealment of a human corpse, tampering with physical evidence and conspiracy. Both were remanded in court Thursday, and their next court date is September 4. As both suspects were escorted out of the 42nd Precinct Wednesday night, Martinez yelled, "She was my friend, and I love her." Wheeler said nothing and ducked his head. Both suspects have served time in state prison. Wheeler served for a 2008 attempted murder conviction in the Bronx and a 2015 attempted burglary conviction in Brooklyn. He was released to parole in April 2017. Martinez was convicted of robbery in Queens in 2010 and served three and a half years in state prison. Velasquez's family had been searching for her since her August 20 disappearance, posting missing person flyers on Facebook. The human remains found in Crotona Park contained the victim's head, leading police to release a sketch of the then-unidentified Velasquez's likeness. Detectives looked at previous missing persons cases for help making the identification. They executed a search warrant Wednesday at the Longfellow Avenue home, which police said smelled like bleach. The Velasquez's family was given the horrible news that evening. This is not the only tragedy faced by this family. In the spring of 2006, Velasquez's mother, who was nine-months pregnant, was stabbed and strangled in the Bronx. "In this lifetime, I never thought we would go through something like that again," Perez said.